As with anything newly found there is always something interesting to learn. 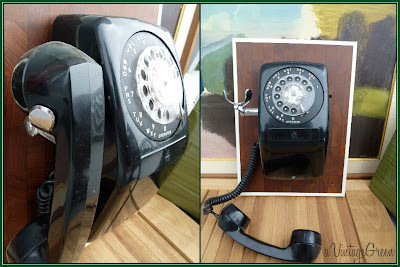 Rotary phones. Used them right up until adulthood. Still have nightmares dreams about mis-dialing or not dialing fast enough to get through before whatever dreaded dream monster showed up. It was tough on the finger to pull that circle around, speed dialing didn't work with these black beauties. I remember using eraser ends of pencils for dialing. I looked up a bit of history about the Automatic Electric telephones. 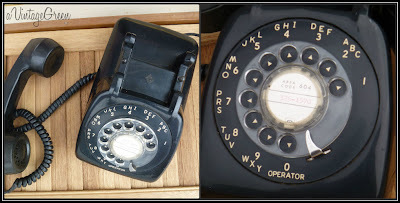 from:CollectorsWeekly "Electric was founded as Strowger Automatic Telephone Exchange Co. by Kansas City resident Almon Strowger, who invented the first automatic (dial) telephone switch in 1889. 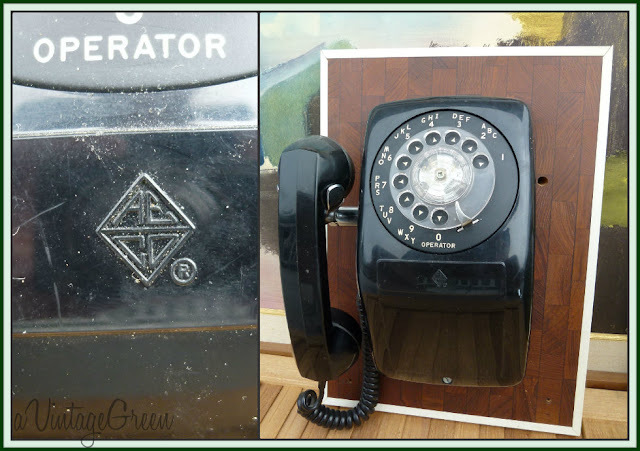 For decades AE was a leading supplier of telephone equipment to independent (non-Bell) telephone companies across the U.S. Many vintage Automatic Electric telephone models have a small sticker on the bottom which reads 'Monophone'." 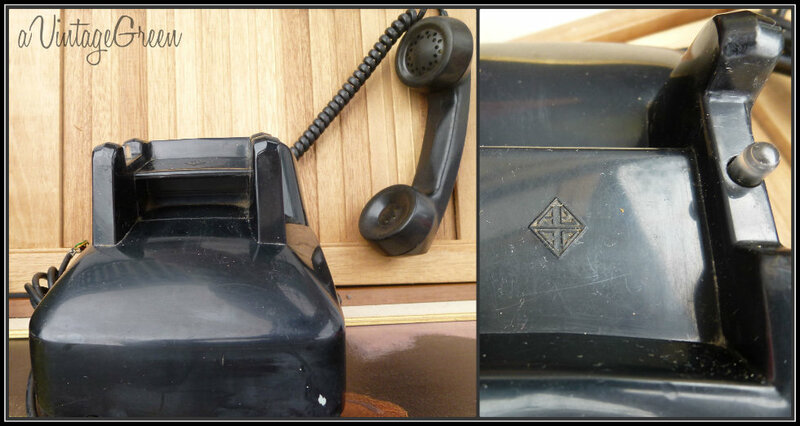 Although this type of phone is familiar to me it is circa 1950/1960. The back has a hand grip area (hollow space) for convenience of lifting/moving. 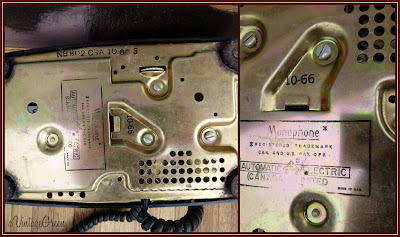 The next Automatic Electric found was the Wall Phone. Again, a 1950/1960's phone. 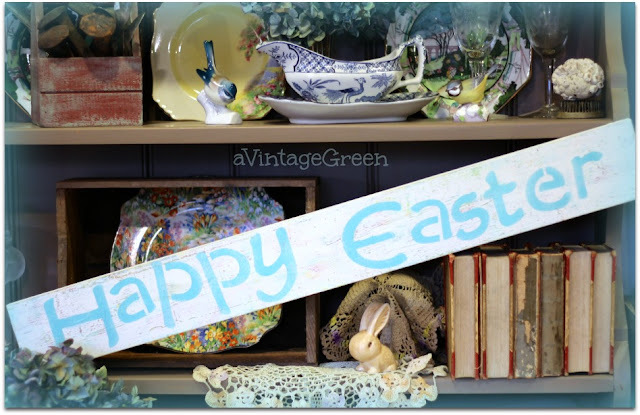 This one had its own wall display board and it had been used as a wall decoration. We had one like this in the kitchen of the parental home and we had added the 15 foot curly cord so a small amount of privacy (moving away from the kitchen) could be had. Always interesting to see what memories are retrieved when searching for collectibles. Funny I too have had phone nightmares about dialing! I wonder why. We still have a cream dial phone and a reproduction of the antique style with the heavy hand piece that we still use. The phones are so great looking! 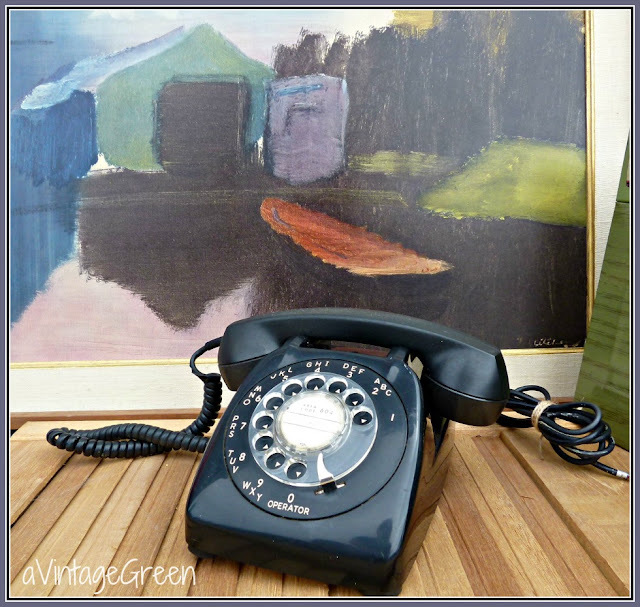 I used to love the feeling of dialing, but remember how modern the first touch tone phones seemed! I love old phones! Thanx for sharing at THT! 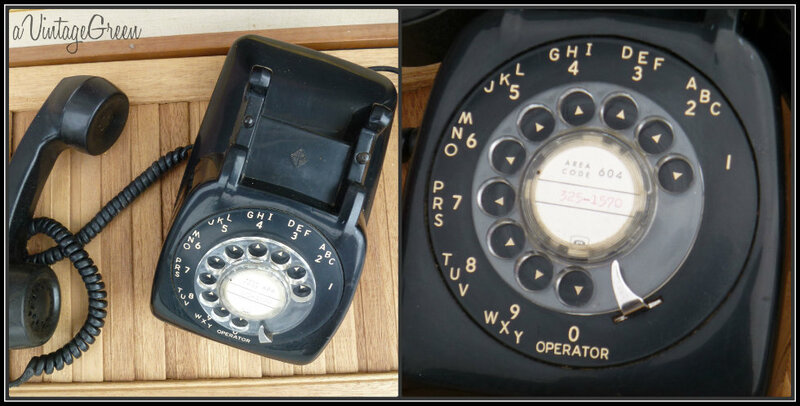 I just love vintage rotary phones. You are right, they bring back a lot of memories. Grew up with one of these and a party line! Thank you for joining me at Home Sweet Home!